Along with being stablemates, the Steve O’Donoghue-trained pair have formed a unique matching in recent times. Competing at Tabcorp Park Melton last week, the geldings draw the inside of the second row before registering impressive wins. Set to return to the same venue on Saturday night, Willem and San Carlo will again begin from identical barriers. 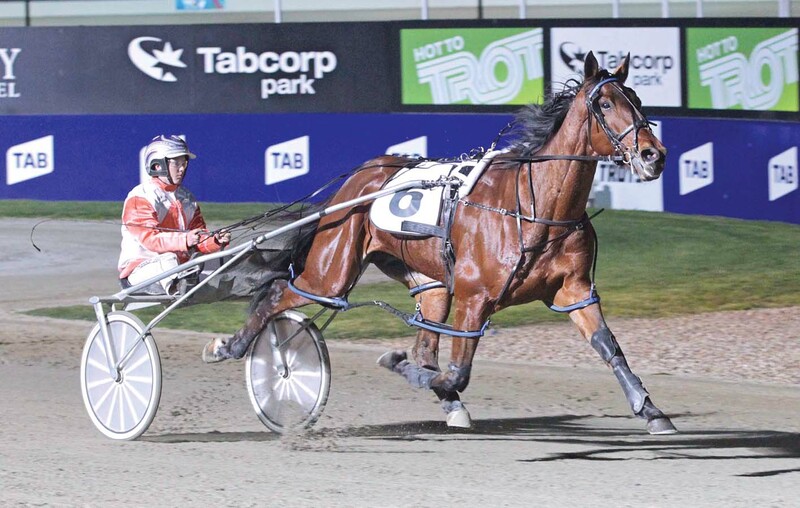 Engaged in the second event on the card, Willem has drawn barrier three, with San Carlo also set to come from three in the Vicbred Championship. “They both had barrier eight last week before winning and this time they’ve both got three,” driver Rebecca Bartley said. “Hopefully it is a sign they will keep doing everything the same and win again. Pleased with Willem’s latest performance, Bartley is confident the son of Lombo Pocket Watch can claim the TAB Rewards Final. Regarded as one of Victoria’s brightest prospects, San Carlo is a short-priced favourite in the Group Three. A lightly-raced son of Mach Three, the six-year-old has won nine of his 10 starts this season, for a record of 16 wins and a third from 18 outings. “He is a very special horse and we are really excited with him,” Bartley said. “I can’t wait to see what the future holds.